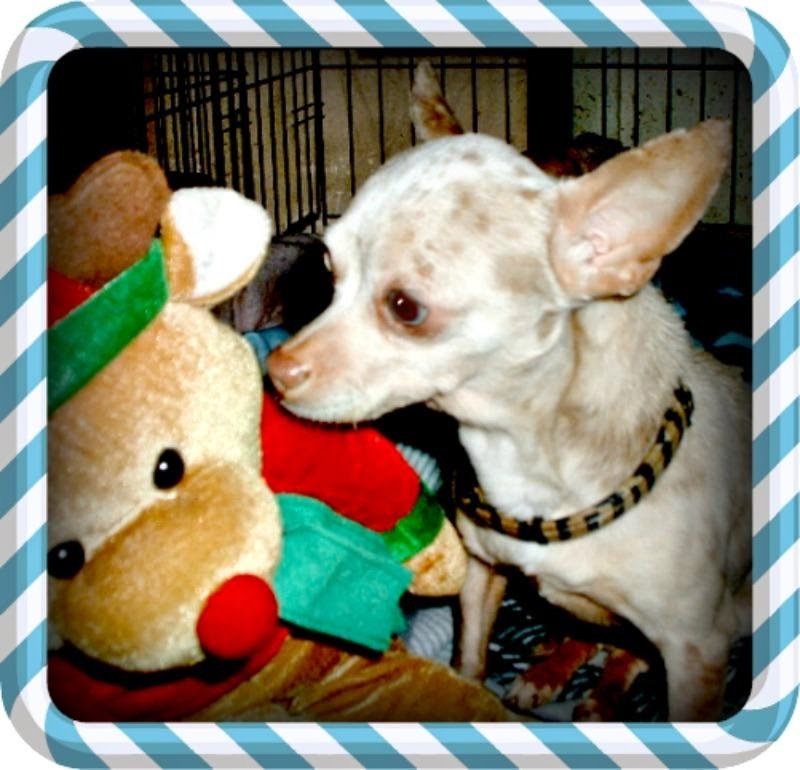 Freckles is a Chihuahua located in central Missouri. Freckles was an owner surrender. They just couldn't look after him anymore. He has been at Riverhill Rescue since mid-December. I think that is long enough to be looking for a home when you are this cute. There have been a lot of Chihuahuas in my extended family and I don't think I have seen one with these kind of markings which I think are pretty cool. And Freckles has BLUE EYES! How fantastic is that? Freckles is about four year old. When he came to Riverhill, his teeth were pretty bad and he had to have a dental and is happier but in possession of less teeth. From my experience with Sophia (my first and The Queen Poodle of this house), I know that missing teeth do not interfere with eating. Freckles will probably do best in an adult only house. He is petty much house trained, but will need some extra training. Sophia did too, and she does just great now. So I know that older dogs house train as easily as younger ones. 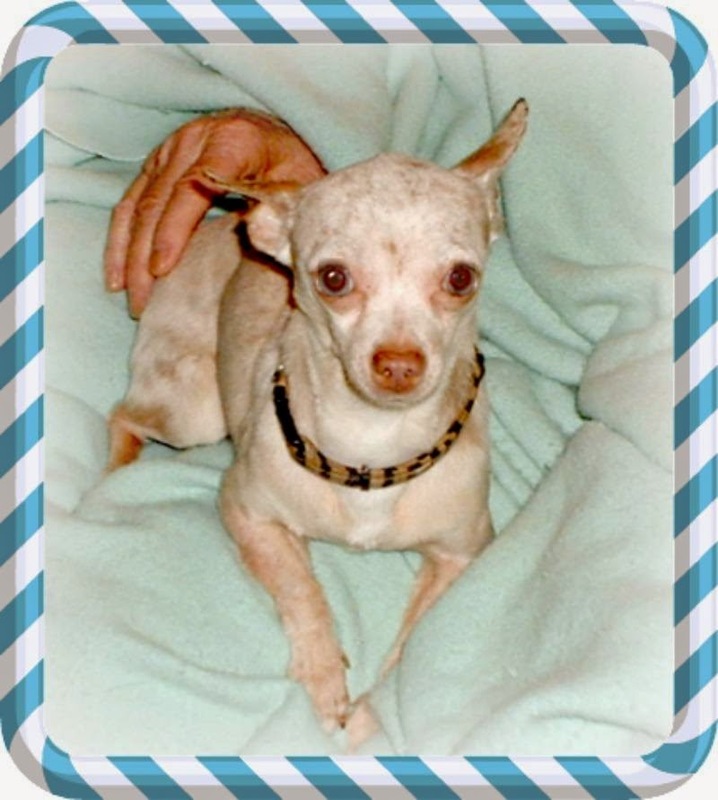 More information on Freckles can be found HERE, just in case you know someone who would like a unique looking Chi. Here's hoping that Freckles finds a home. I have put a new Petfinder link on my blog. This one is for Chain Of Hope out of Kansas City. This organization does an incredible job of taking care of the urban backyard dogs. Many times the owners just don't want the dogs anymore and COH tries to find homes for them. Their numbers are growing so I will be featuring some of these dogs (which are usually very large dogs) in the future.